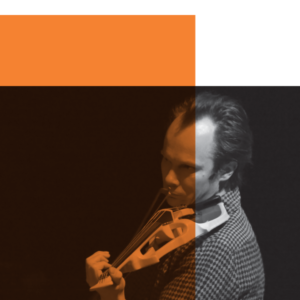 Erkki Veltheim is a musician and interdisciplinary artist, and Artistic Associate of Chamber Made Opera. He has performed with ensembles such as Australian Art Orchestra, Australian Chamber Orchestra, Berlin Philharmonic Orchestra, Elision and Ensemble Modern, and has also featured as a soloist with London Sinfonietta and Melbourne Symphony Orchestra. He has collaborated with and composed arrangements for artists including Black Arm Band, Gurrumul, Shane Howard, Tom E Lewis and Zulya, and as an improviser has worked with Australia’s leading practitioners, such as Anthony Pateras, John Rodgers, Jon Rose, Scott Tinkler and Tony Buck. He appeared as an on-stage musician in the Belvoir Street production of ‘The Diary of a Madman’, directed by Neil Armfield and starring Geoffrey Rush, and on-stage electric violinist in Brett Dean’s opera ‘Bliss’. Erkki has been commissioned by Adelaide Festival, Vivid Festival and New Music Network, and his compositions have been performed by ensembles such as London Sinfonietta, Melbourne Symphony Orchestra, Soundstream Collective and Sydney Symphony Orchestra. He frequently collaborates with Sabina Maselli on audiovisual performance and expanded cinema projects. Erkki is a recipient a 2013 Myer Creative Fellowship.